Five Reasons to Soul Journal “Write” Now! It took me awhile to realize all of the benefits of Soul Journaling. When I was younger, I always fancied being a writer, would buy a journal, write one or two entries, get over my drama and forget about my dreams of being Jo from “LIttle Women.” Then I would buy a new journal vowing this time I would really keep writing only to repeat the same scenario. On and on into adulthood until one day it finally stuck. I stopped writing for dramatic effect and started writing because of how it made me feel. Better, is how it made me feel, and I took notice. I noticed when I didn’t journal I wasn’t as clear-headed and prone to go down emotional black holes. I kept with it knowing my now soul journal was my truest friend and most honest companion. I recommended it to my psychotherapy clients who gave me every reason not to journal, not enough time, don’t know how, only write when I’m sad. I set out to change all that and teach people just how to do it. In case you need convincing, here are five reasons to journal “write” now. Healing is truly “write” at your fingertips. Cathartic journal writing or Soul Journaling as I like to call it, can quite literally save your life, both emotionally and physically. There’s an abundance of research, hundreds of studies verifyng this truth, most notably by Dr. James Pennebakbr, Ph.D., a pioneer in this field. And without going into the detailed research, know this as a fact: Journaling is shown to improve your immune system, reduce symptoms from various ailments and diseases, speed up healing, improve mood and fast forward psychotherapy. When you journal, you are infused with healing energies that last and work on your behalf over time. It’s even more than that though. Journal writing teaches you to tell yourself the truth. Believe me, we fudge our truth daily for a multitude of reasons, like we just don’t want to face it. We hide under blankets of emotional deception which eventually need to be thrown off to step into our freedom and power. Our personal truth is ultimate self-awareness, inner wisdom working at its best. It often comes from your subconscious and/or higher consciousness, a universal field of knowing, which your everyday thinking mind is not able to reach. It’s like a clear, uncluttered voice coming through the tip of your pen. The truth opens your emotional and physical blocks. More and more truth comes pouring out. Your channels to creativity and wellness open as these blocks dissolve. My morning journal writes produce some of my best creative ideas. I’ve come to trust and expect this just as I expect my journaling to help me heal from relationship conflicts, new and old wounds, to help me know just what to do or how to proceed. My journal is the safest place I know to say what I really want to say, to admit my most egregious thoughts or deeds, to dream big, to tap into my deepest feelings and to make my wishes come true. The saying, “Write it Down; Make it Happen,” is absolute. It’s like a self-fulfilling prophecy. 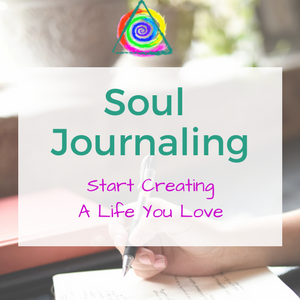 Soul Journaling helps you start creating the life you love. When you write the truth on a regular basis, you become less fearful of knowing all the parts of yourself. In fact, you really want to know, you want to dig deep because you realize all that’s opening up for you in a positive way as a result of your soul journaling. The Lover, bring her on. The Ego Centered Gal, let’s get to know her. The Wounded One, let’s get to the bottom of that. The Healer, let me fall in love with her. You get the idea. Your wholeness is made up of so many others living inside of you. When you know all of these parts, you know what part of you is taking front and center at any given time. Maybe it’s the Ego Gal who needs to calm down a little bit or the Lover who needs to come and play. Or the Little Girl who needs a hug or the Warrior who is ready to fight for something meaningful. Just who are you really? Soul Journal writing also helps integrate those pesky ruminations into clear thoughts and actions steps. Many are surprised at how writing initially perceived as negative often leads to clarity, problem solving and forward movement. You end with feelings of resolution and hopefulness. As a psychotherapist, I’ve seen this happen time and time again. I’ve witnessed clients have healing revelations that would have taken weeks or months of therapy to get to with verbal processing alone. It’s no exaggeration when I say, journal writing saves lives. 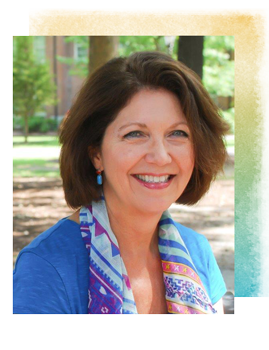 As a certified “Journal-to-the- Self” instructor, I see workshop participants surprise themselves with writings that go right to the heart of the matter often in one, quick exercise. It amazes and humbles me every time. While journal techniques can be self-taught, having the support and nonjudgmental validation of others in a journal group also promotes healing and understanding. This is especially true for women who heal and grow through relationships with one another. Having the knowledge and experience of a certified instructor who works with you individually or in a group provides you with more depth and understanding and gives you the confidence that you are doing the work at a healing level. If you are working through something, journaling with a professional is a quick way to get to resolution. So how about we Start Creating a Life You Love together? Copyright© 2018 SoulfireWoman. All Rights Reserved. Thank you so much Sandy. You are a true testament to the power of journaling! Thank you! I will definitely check out your tips. Great read! Journaling has brought so much clarity and healing to me. I have found my old journals to almost be prophetic, demonstrating the power of words. When I go back and read old journals, I see manifestation in my current life. So beautiful and true. Thank you for sharing.